The public has spoken! One hundred thousand votes were cast and avast! Mobile Security & Antivirus was declared the Winner and Users’ Choice pick for the best Utilities and Tools for Android devices. The international panel of independent judges wrote about avast! Mobile Security, "One of the best security apps for tablets. Setup is quick and easy. UI is refreshing and simple yet functional. Capabilities and ease of use are outstanding. Very solid. This application is the complete mobile security package." The crowning achievement for the developers of avast! Mobile Security is the Users’ Choice award, given by real app users. In June and July, app users voted on the TabbyAwards.com site for their favorite app among panel-selected finalists in each category. 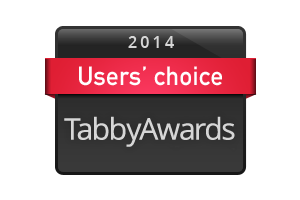 The full list of Winners, Users’ Choice and Finalists, with links to download them, is available at TabbyAwards.com. The judges and users thought that the current version of avast! Mobile Security has a "refreshing" and "simple yet functional" user interface. Well, it's about to get even better! Android Power Users: Join us as a beta tester and provide feedback on the new, improved avast! Mobile Security user interface. Visit the avast! Google+ page to join the beta community and learn how you can earn a free 1-year license for avast! Mobile Premium.